I had this really great gem of a find at our local Oxfam bookstore the other day. It jumped out at me because we are planning to do a cookery course at The Primrose Bakery in the near future so I really wanted to have a go at baking some of the cupcakes. I am usually a complete disaster area when it comes to baking and especially icing cupcakes - but thanks to this book I think I have figured out where I usually go wrong. Firstly, I don't often stick properly to recipes and with baking, the exact quanities are pretty crucial and secondly I always imagined the more you beat icing, the runnier it will get so I never beat my icing much and so always ended up with ridiculously runny icing. Following the recipe quantities and beating for longer meant that I finally got something that resembled the right texture and taste for buttercream icing. Of course, Miss T was on hand to help in the kitchen. She helped weigh out the ingredients, sift the flour, get the cake cases ready and for the first time I let her turn the mixer on and off. OK, so I'm never going to have the most stunning cupcakes in the world, but I was really pleased with how they turned out and especially that the icing worked out well for me which is a rarity. The leftover buttercream can be kept for 3 days unrefridgerated. So on the third day, I decided to make a small batch of Lemon Cupcakes, halving the quantities in the book and adding in a teaspoon and a half of poppyseeds so I could use up the remaining icing. Now this is where it all went wrong because I didn't use the Lemon buttercream icing recipe from the book but instead added some freshly squeezed lemon juice to the Vanilla Buttercream I already had which of course made it runny. So then I added more icing sugar to make it thicker but it still wasn't quite right. It actually tasted great but I did end up with my usual runny icing. Next time I'll be sticking to the recipe from the book! You can still buy this cookbook directly from The Primrose Bakery too if you aren't as lucky as me to find it at a bargain price at the charity bookshop. 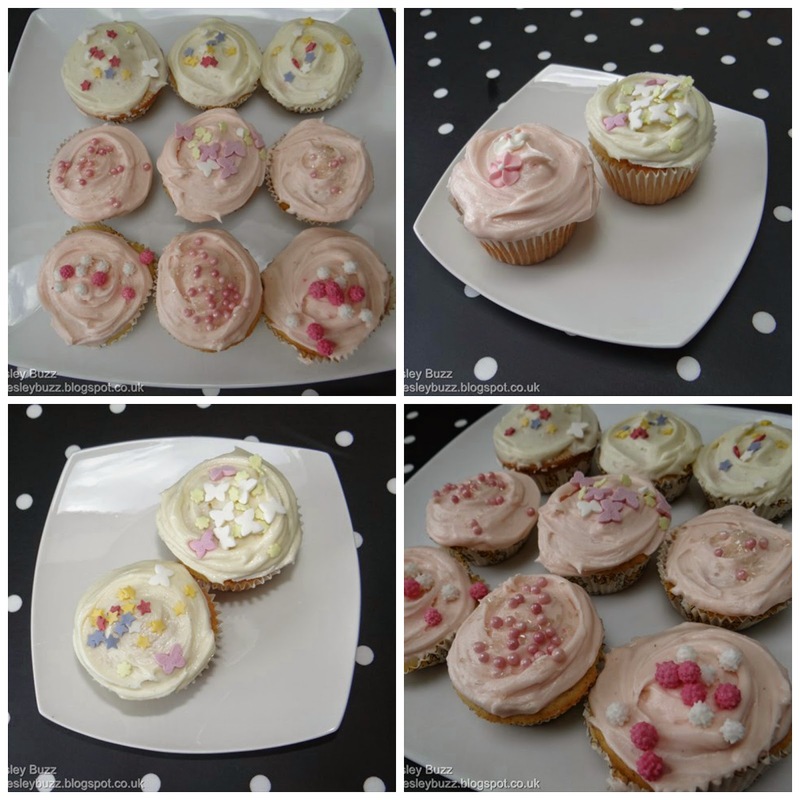 I haven't included the actual recipes in this blogpost as I haven't asked permission to - so you'll just have to get the book if you want to know just why The Primrose Bakery Cupcakes taste so delicious.